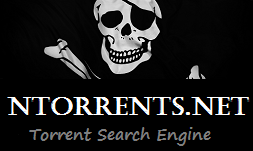 NTorrents.net is one of the best torrent search engine powered by Google Custom Search. Simply type the file name in the search bar above and see how it works. This service supports tons of torrent websites that you know and mostly receive a large number of results. I try my best to update a list of supported websites as often as possible, so I would say you get results more often here, even in hard phrases! Our torrent search engine filters the web to display a large number of results from your search keyword. You can test this tool for free as many times as you need! You will definitely love this project! Starting today, you don't need to visit each website that offers torrents, just use this one and find links to live files and download torrents free. - You will receive a big number of torrents as search results, bigger than on any other alive torrent site or torrent search engine. If you are not able to find any torrent in popular services, this is the best service for you, because you will find any torrent here. Use this search engine and you will find what you want in a short time. - From now you don't need to visit a dozen of sites to find the file that you are looking for, so you will save your time! Pros of using Google custom search project. - You won't see as many popup ads as before. Thanks to our search engine you will receive a list of indexed results, just click the one torrent search result to visit chosen result on site and download magnet link to your device. Instead of visiting many torrent sites and seeing a variety of annoying ads, you will visit only one website with updated and live torrent. - This Best Torrent Search Engine can help you if you are the owner of magnet links website. If you are an owner of torrent site, you can contact me and send me a link to your site. It only means that this search engine will just show results from your own website and my visitors can also visit your service. In short, this is like a free traffic generator for admins of websites. NTorrents.net is getting more and more powerful thanks to Google Custom Search. With this engine my service is able to help all people who looks for movies or music. It might be helpful mostly for phrases which are really hard to find on other torrent sites. Good optimization and fast VPS make website works fine not just on the desktop, but also in mobile devices. If you are using smartphones/tablets, a few elements might beyond the borders of your screen, sorry for this. The engine is powered by Google Custom Search, but why this service is much better to find torrents than the Google search engine? Search Engine which you are using every day, usually shows only 1-2 results from every single website. Sometimes on one popular site there are 10-20 results for searching phrase and they are indexed, but unfortunately Google still shows only one result. Sometimes this result is outdated and this result doesn't exist. NTorrent Search Engine break barriers on this field. For example, a website offers 10 working torrents and 2 of them are outdated, but you see only one of these non-working links in Google. They are old and indexed so Google shows them, new and live torrents might be invisible for you even if they are also indexed. Other problem is sometimes in Google search results you can see links to completely unknown sites without torrents, because they include searched phrase and that's the reason why Google shows them as results. NTorrents.net shows results only from torrent sites, so this is impossible to receive poor results or links to pages without torrents.